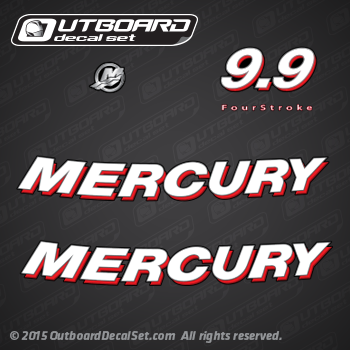 2005 and 2006 MERCURY outboard FourStroke decal replica made from Mercury 4-Stroke 9.9 hp from 2005. this decal set use decal design from 2005-2013 Generation. 8 hp decal - Rear Side. FourStroke deca - Rear Side. M 4: 1F102016B, 1F10201DB, 1F10201DK, 1F10201DM, 1F10201FA, 1F10201FB, 1F10201FK, 1F10201FM. MRC 4: 1F10204DV, 1F10204FV, 1F10204HV. ML 4: 1F102116B, 1F10211DB, 1F10211DK, 1F10211DM.